1.Pressure cook rajma with five cups of water and salt till totally cooked and soft. 2. Heat oil in a deep pan. Add umin seeds and onion (you can grate the onion if you wish). Add ginger and garlic and continue to sauté till the mixture turns golden. 3. Add chopped chilis and tomato puree, mix and continue to cook. Add coriander powder, red chilli powder,rajma masala and cook till the oil leaves the masala. 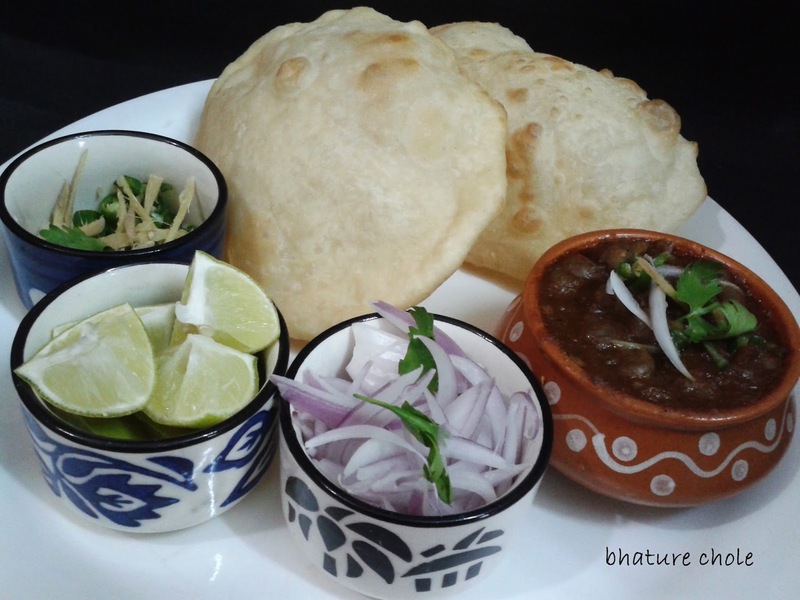 3.Add rajma along with the cooking liquour and mix. Adjust salt . Lower the heat and simmer for about fifteen to twenty minutes on low heat. 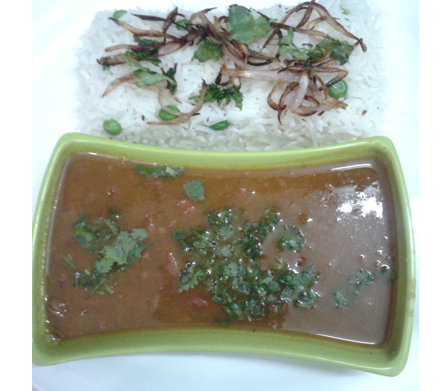 Serve hot with steamed jeera rice. 2 cups basmati rice soaked for 15 mins. 1. Heat oil in a big vessel add cumin seeds. 2.When it starts to change the colour add water and bring the water to a boil. 3.Now add soaked rice and salt and cook with a lid on a low flame stirring occasionally till there is any water remaining in the vessel. Turn off the gas and let it be under cover at least for 5 minutes before you serve it. 1.Heat one and a half tablespoons of oil in a kadai. Add cumin seeds and asafoetida. 2.When the cumin seeds begin to change colour, add chopped onions, salt and continue to saute. 3. When onions are lightly browned add green chilies ,all the spices and sugar. Mix and sauté for a minute,now add mashed boiled potatoes and cook for 5 minutes. 4. Add kaju tukra and raisins. Remove from heat. Set aside to cool. Add chopped coriander leaves to it and mix. 5 Take refined flour in a bowl. Add the remaining oil,semolina.carom seeds and salt. Add sufficient water and knead into a soft dough. Cover with a moist cloth and rest for fifteen minutes. 6 Divide the dough into twelve equal portions. Apply a little oil and roll out into small puris.. Divide the filling into twelve equal portions. 7. Place one portion in the centre of the puri, gather the edges and seal. Press gently and pat with hands to flatten the kachori a bit, keeping the sides thin.Similarly prepare other kachoris. 8. Heat sufficient oil in a kadai till hot. 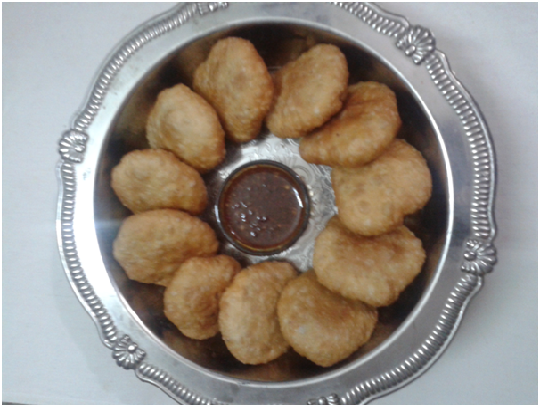 Deep-fry the kachoris 1n low to medium hot oil till golden brown in color. Drain on an absorbent paper and serve hot . 1. Take the water in a pan, add sugar and boil to make one string thick sugar syrup add saffron strands and cardamom powder. 1. Heat the milk in a pan and reduce it to half. Let it cool. 2. When the milk is completely cool add maida ,semolina and powdered sugar to it and make a batter of pouring consistency. 3. Heat oil in a flat bottomed pan and when the oil is hot, use a ladle to gently pour the batter into the oil to form circles about 4" in diameter. 4.Cook till golden brown from both sides. Remove from the oil and put directly into the sugar syrup. 5.Remove after 2-3 minutes and drain on a wire rack or steal strainer with a plate underneath to catch the dripping syrup. 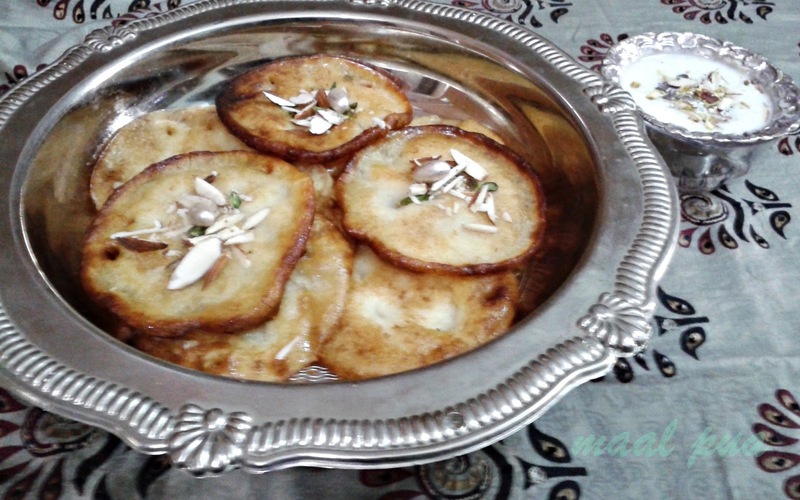 6.To serve, place malpuas in a plate and garnish with sliced nuts. Heat 8 cups of water in a pan, add 1tsp salt and 1tsp of refined oil into it, when it starts boiling add the noodles into it boil for 3 minutes or as per instructions on the pack. Drain out the hot water and pour in cold water in the pan and add strained noodles into it .Strain the water and repeat the cooling process once again. Now keep the cool noodles a side you can add some refined oil with the help of your hands to the noodles to prevent stickiness. 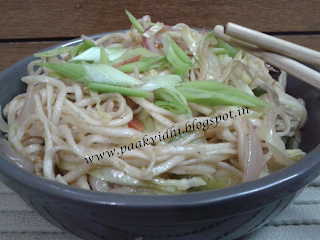 Heat the olive oil in a pan add onions, carrots and capsicum and cook these for two minutes now add cabbage and the boiled noodles and stir the noodles with vegetables. Add soya sauce,shezwan or chili sauce, vinegar and salt and cook for 2-3 minutes on high flame stiring continuously. 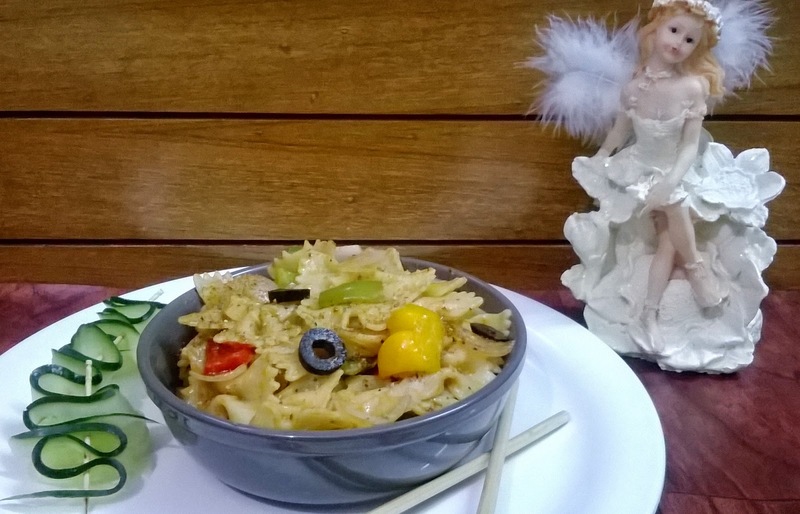 Now noodles are ready to be served. Add pasta when the water is boiling hot and boil for the time as per the instructions on the packet(as cooking time variates according to type of pasta),when it is done drain out extra water and put the pasta in cold water. When the pasta becomes completely cool,drain out the cold water as well and take a little bit oil in your hand and gently rub it on pasta and keep the pasta aside. Heat olive oil in a pan add diced onions,capsicum ,broccoli ,baby corn and 1tsp salt and cook for a minute or two. 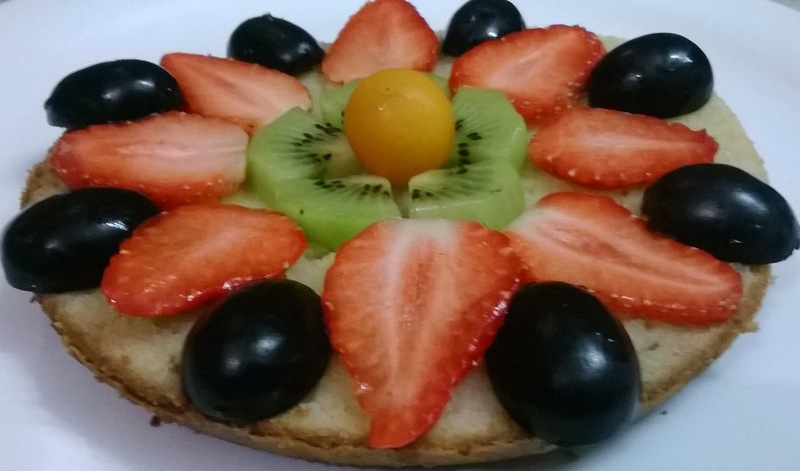 Add pizza pasta sauce,tomato ketchup and Amul cheese spread to it and mix well. Now add boiled pasta to the above mixture and cook for 3-4 minutes. Now the pasta is ready to be served. 1.Sieve maida along with baking powder two to three times. 8.Grease the baking dish,set the butter paper in it and pour in the cake batter. 9.Bake it for 10 minutes at 180*CG or 350*F and and after that for 25-30 minutes at 150* or 300* F. 10.Check it with knife if it is not baked completely then bake it for 5 more minutes. 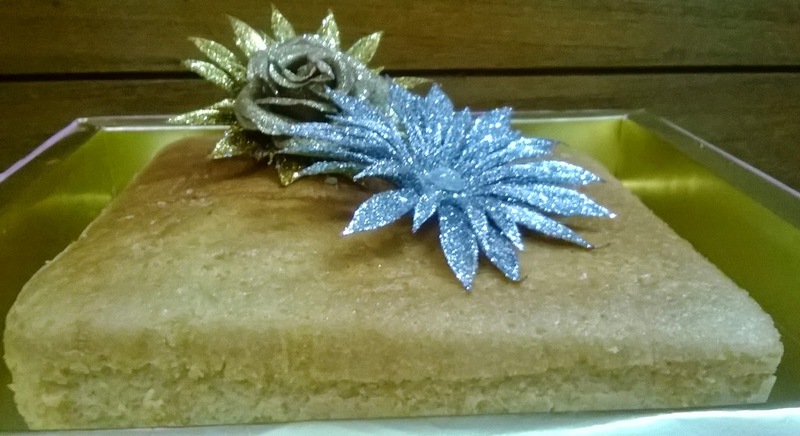 11.Let it cool and then bring it out of the container and the cake is ready to be served. 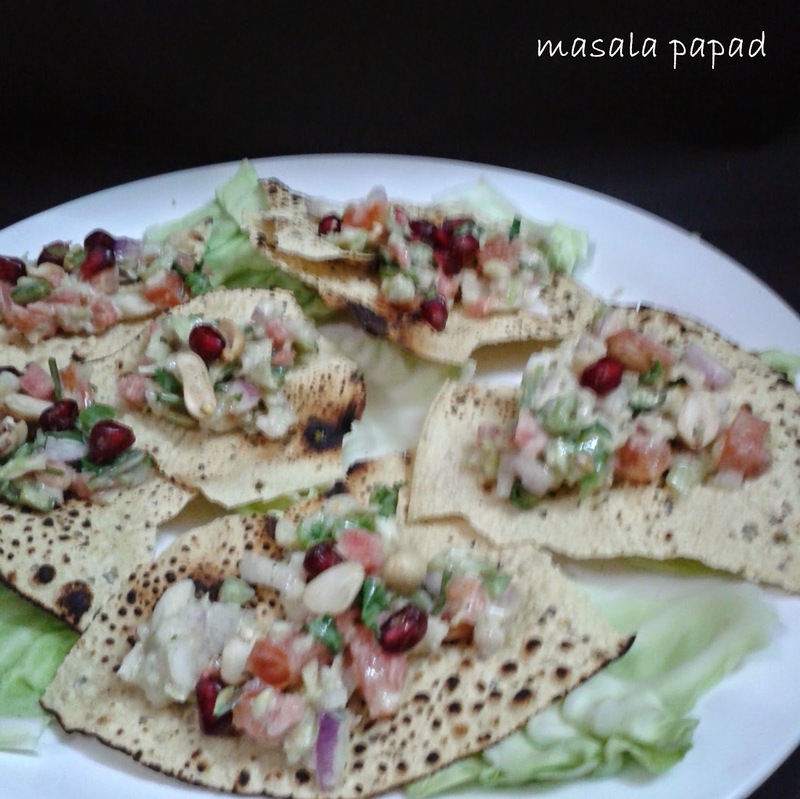 Cut each papad into 4 pieces with a pair or scissors. Roast each piece of Papad. Leave aside and let it cool to become crisp. if you are doing it in advance then keep them in an air tight jar or the will become saggy. Mix vegetables along with rest of the ingredients except peanuts and pomegranate seeds and make a salad with sour cream or mayonnaise. At the time of serving place a piece of lattuce leaf or cabbage leaf on papad . fill it with some salad and top it with crushed peanuts and pomegranate seeds and serve immediately. 1. Wash and soak dal and rajma overnight . 2. 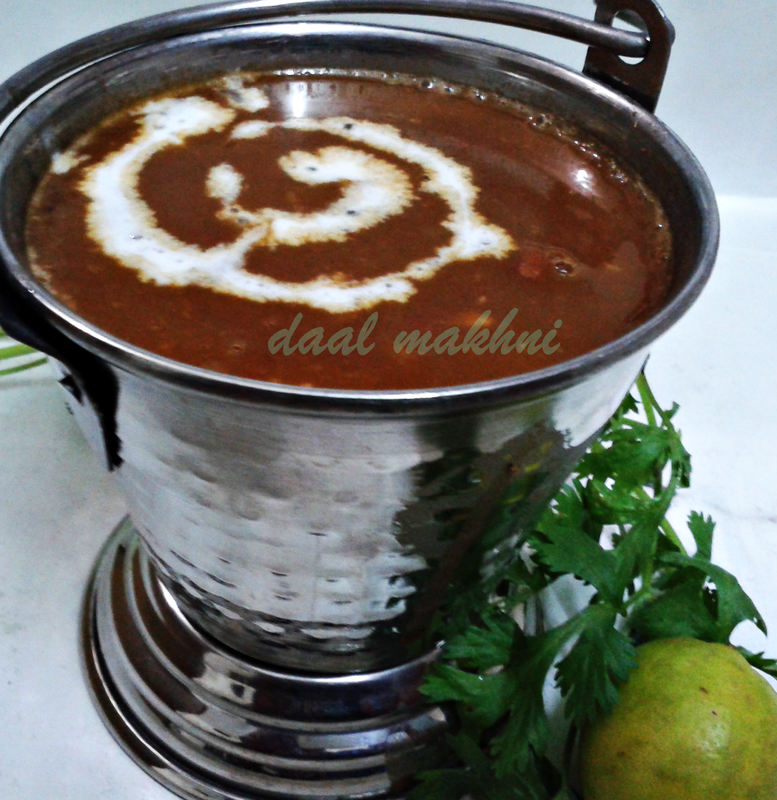 Drain the water and pressure cook dal with 3 cups of water and salt for half an hour (after first whistle simmer the gas) and then check whether the dal and rajma are soft or not if not then cook for little more time as per requirement. 3. Take 1/2 tbsp oil and whole of the butter in a pan add cumin seeds when they splatter or change color add chopped onion,garlic and ginger and fry till they become golden brown. 4. Add pureed tomatoes and chopped coriander leaves and stir till the oil separates then add coriander powder and dal makhni masala and stir for two minutes. 5. Add the whole mixture to the dal and add water if required and cook for ten minutes. 6. Take a tadka pan and heat 1/2 tbsp oil and add coriander seeds,hing and dry red chillies then add this tempering to the dal and serve hot. Garnish with butter or cream and chopped coriender leaves. Boil potatoes till just tender. Peel the skin when the potatoes become cold. Scoop out the centre of the potatoes with the back of a teaspoon and deep fry the potatoes in hot oil. Mix all the ingredients of stuffing coriander leaves, green chilies, grated paneer,salt,garam masala, red chilli , 1/2 tsp tandoori masala , amchoor and the scooped out portion of potatoes. Mix all the ingredients of coating in another bowl. Stuff with paneer filling in the cavity of the potatoes. Prick the potatoes with fork, making the surface rough so that potatoes hold the masala well. Dip each potato in the curd mixture. Grill potatoes in a tandoor or a preheated oven at 180 degree Celsius or 400 degree Fahrenheit for 15 minutes on greased wire rack till they get slightly dry. Do turn the potatoes during the grilling process at least once. Or you can take a wired gridle as shown in the picture and grill the potatoes on gas. Spoon some oil or melted butter on them and then grill further for ten minutes till the coating turns absolutely dry. Cut the potatoes in to half and sprinkle some chaat masala and serve hot with dahi pudina chutney. Wash and drain the water. Soak the chana overnight in approximately 6 cups of water. Boil in the same water with salt, dried amla and tea bag till tender. Remove amla and tea bag. Peel and chop the onions. Wash and chop the tomatoes, green chilies and coriander leaves. Heat oil in a pan and roast cumin seeds, add chopped onions and saute till brown. Add ginger and garlic paste and finely chopped green chilies and saute for sometime. Add coriander powder, red chilly powder, amchoor, channa masala and cook for 2 mins. Then add chopped tomatoes, chopped coriander and tomato pure. Cook till oil separates. You can add little water in between if required. Add the prepared paste to the chanas along with cooking liquor and salt. Cook till the chanas are well mixed with the gravy. Garnish with Julian of onion, tomatoes,ginger and green chilies along with chopped coriander leaves and slice of lemon. Combine the cauliflower, onions,capsicum, cornflour,semolina, plain flour,bread soaked in milk,baking powder,soya sauce, garlic, green chilli, salt and pepper in a bowl. Mix well. Heat the oil in a wok or frying pan on a high flame. Add the garlic, green chillies and ginger and stir fry over a high flame for a few seconds. Add onion,capsicum and cook for two minutes. Add the stock, soya sauce, cornflour paste, tomato ketchup,schezwan sauce and salt and simmer for a few minutes. Just before serving, put the vegetable balls in the sauce and bring to a boil, garnish with spring onions and coriander(dhaniya leaves) and serve hot with fried rice of haka noodles. 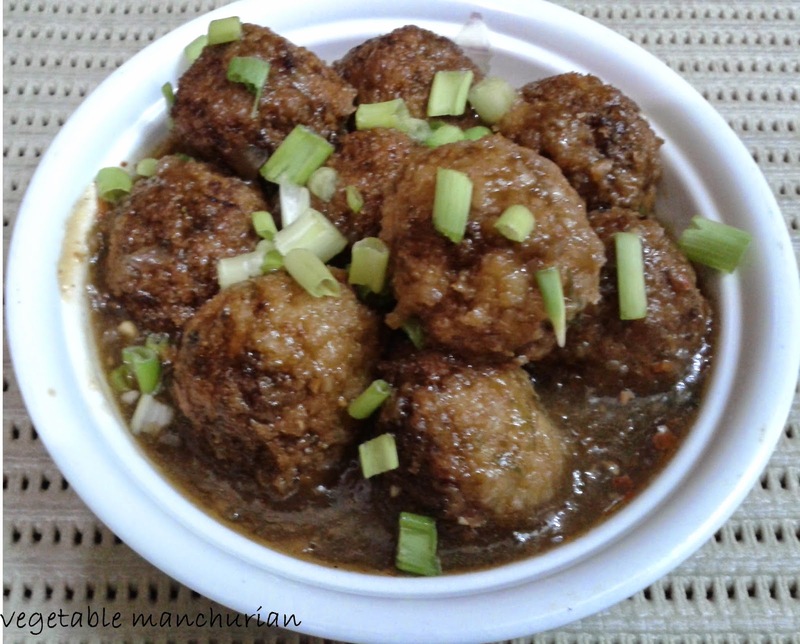 Ready mix packs of manchow soup or manchurian gravy (knorr,chingsor maggi) too can be used for the sauce after adding the above mentioned veggies.